I’ve never been called for jury service before. In my mind I thought it would be more Kramer vs Kramer than creature vs creature. Instead, as part of this year’s Compass Festival I found myself sitting with a group of my peers considering the fate of a four-legged defendant. 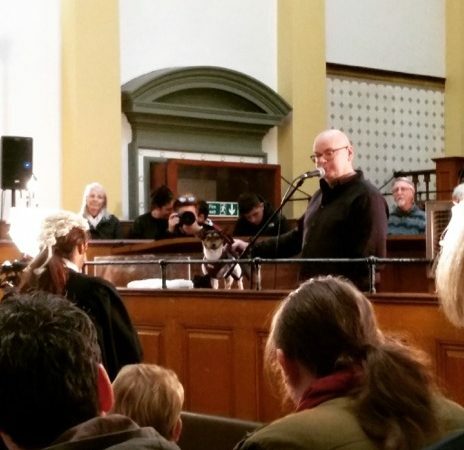 In a contemporary revival of the medieval animal trials, artist Jack Tan’s Four Legs Good reimagined Leeds Town Hall as a courtroom, hearing cases called by the fictional Department of Animal Justice as animals accused of crimes were brought before a judge and jury. The work aims to explore the legal framework that governs humans, animals and our shared spaces, inviting us to reconsider our understanding of how we as humans relate to animals and the environment. Each animal giving evidence was supported by a human who translated and spoke as them, not for them. We heard the case of Snoopy, a young Jack Russell accused of sheep worrying. The sheep in question was also called to give evidence by live video link to her pen. There were other witness testimonies as the case was presented by the prosecution and defence. The staging was meticulous. Taking place in the austere surroundings of the Town Hall courtroom, the cast included real life barristers dressed for the occasion. We the jury had to make an affirmation. All legal formalities were present and correct. The jury listened carefully to all the evidence and arguments, hoping we didn’t end up barking up the wrong tree and sending the defendant to a life behind baa(s). I felt a real sense of responsibility, looking for meaning in every action taken by Snoopy in the dock and making a note of her demeanour as her human translated her answers. As we retired to deliberate, discussions became heated. This was a complex case and, despite impassioned arguments in the jury room, we failed to reach a majority finding. As I was nominated to be foreperson of the jury, I had to deliver the verdict to the judge. Snoopy will face a retrial. It’s all in the detail. Jack Tan’s Four Legs Good. The details of Jack Tan’s Four Legs Good were so impressive, I had to keep reminding myself that animal trials were not actually a real thing in Leeds. 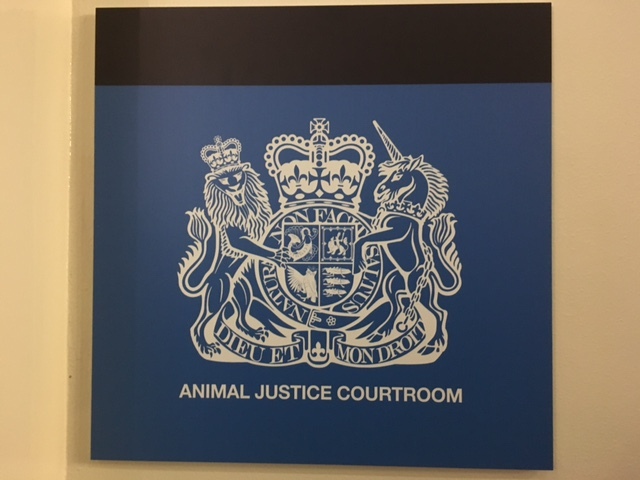 There were official looking leaflets and posters, the signage in the Town Hall had been amended to include reference to the animal court. It was all convincingly presented. The Compass Festival is all about interactive encounters that invite you to step out of the everyday and into new experiences. This was a truly immersive artwork. I was fully in the moment during the trial and absolutely playing my part for real, genuinely wanting to deliver justice in the case. It was a reminder of how community art can consume us when we trust and let ourselves genuinely feel part of it. Well it’s lucky that Snoopy wasn’t having to pay real lawyers, otherwise he’d have got fleeced. Ha! Very good. Worthy of Phil, that one!